The U.S. Postal Service is offering 3,000 postmasters $10,000 each to retire early as the agency continues to reduce hours at post offices across the country. Qualified postmasters -- top supervisors at individual post offices -- have until Aug. 18 to accept the offer, and must separate from USPS by the end of September. Because the Postal Service is reducing service at post offices by two, four or six hours, the agency will be forced to lay off postmasters if a sufficient number do not accept the early retirement offer. Employees can decline the offer in favor of seeking a new assignment at a different post office. If necessary, USPS will issue reduction-in-force notices by mid-October, and separate employees on Jan. 9, 2015. Any postmaster who does not accept early retirement, take another postal job or resign will be laid off, according to a USPS spokeswoman. USPS’ Post Plan has reduced hours at more than 9,000 post offices -- mostly at “low activity” sites in rural areas -- since the program began in 2012. Overall, the Postal Service plans to cut back on service at 13,000 facilities. The Post Plan was initiated after lawmakers and customers rejected a proposal to shutter more than 3,000 post offices. The Postal Service has shed more than 200,000 jobs over the past several years, and has made the cuts strictly through attrition efforts and without layoffs. 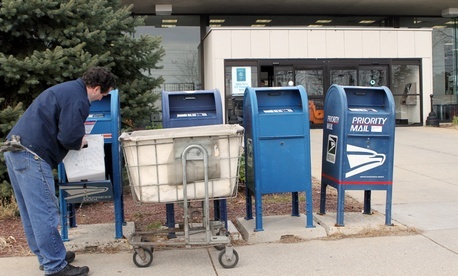 USPS offered buyouts and early retirement incentives in 2012 and 2013.